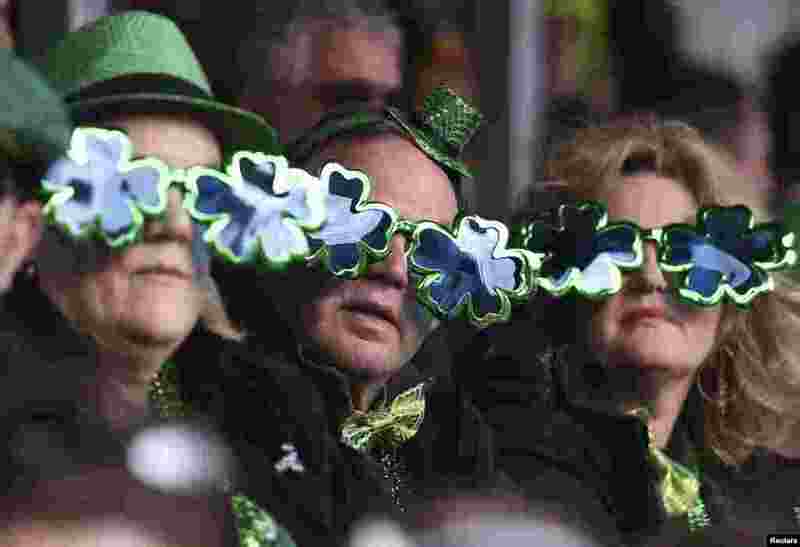 ١ People watch the St. Patrick's Day parade in Dublin, Ireland. 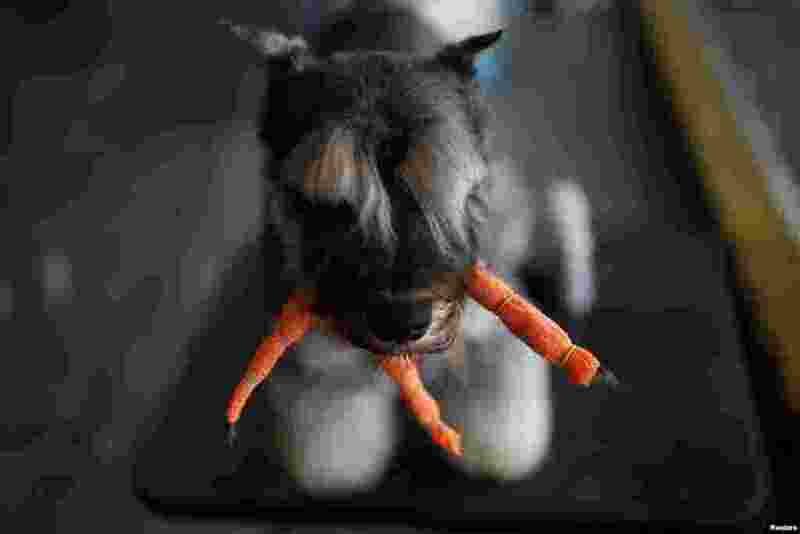 ٢ A dog at the Shanghai International Pet Expo in Shanghai, China. 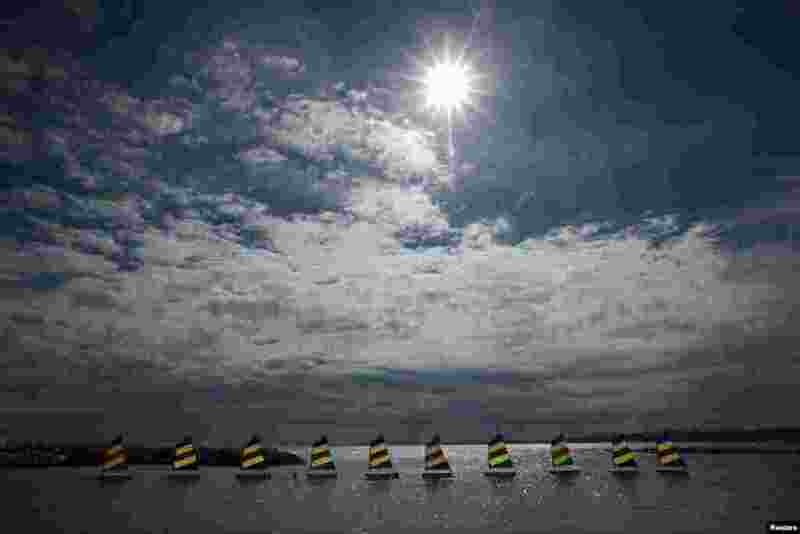 ٣ Sail boats form a line in Cagnes Sur Mer, France. 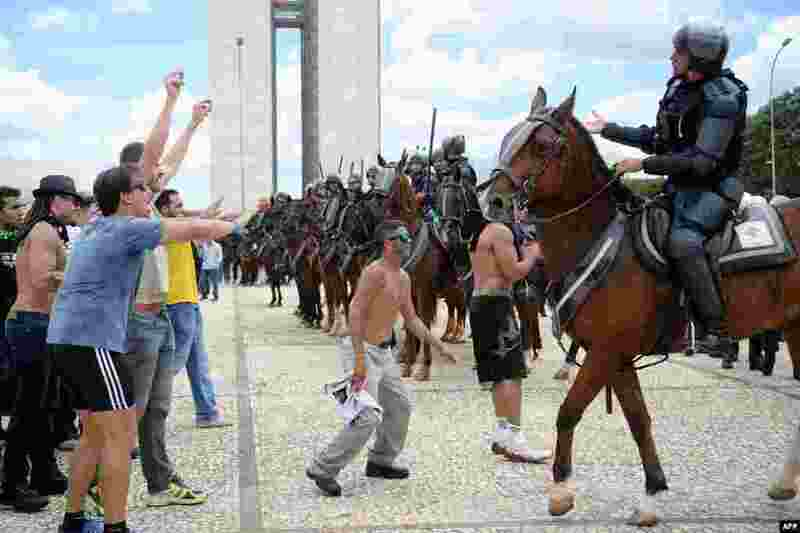 ٤ Demonstrators gather next to Planalto Palace to protest against the government in Brasilia. Brazil's former president Luiz Inacio Lula da Silva was sworn as chief of staff to his embattled successor Dilma Rousseff amid angry protests from opponents who accuse him of trying to dodge corruption charges.